List of Nextgen Gaming casinos with honest review including reputability check of every Nextgen Gaming online casino listed. NextGen Gaming was founded in 1999 in Australia. After settling in to produce a few video slots to go out to market each year, the company's business got a big boost in 2011 when they were acquired by the NYX Gaming Group. Eventually, the company was relocated to London, England, where they operate under licensing provided by the UK Gambling Commission. The company's games software has proven to be very popular in the social gaming arena. That’s evidenced by the fact the company was awarded the EGR Magazine B2B Award for Social Gaming Supplier of the Year in 2012. Since their inception they have delivered hundreds of games, in partnership with online and land based operators, in addition to collaborations with other software providers. Not everyone knows that NextGen has generally focused on marketing its games in the B2B space. The result is that its unbranded games are included as part of other brands' packages, such as Microgaming Quickfire, WGS Technology, Amaya Gaming and others. NextGen Gaming operate on many different software platforms, so each casino that carries NextGen games offers a wide variety of game choice, with the opportunity to play table games, video poker and even slots from other developers in the same casino setting. All games are delivered in a no-download format using Adobe Flash, and the quality of graphics and player experience are considered superior. NextGen games use a random number generator (RNG) that provides fair, honest and random results. As part of the UK Gambling Commission's regulations, the games must adhere to strict standards and pass fairness testing from an independent auditor. In 2012, NextGen received the Social Gaming Supplier of the Year award from eGaming Review. In 2013, they won the eGaming Review B2B award for RNG Casino Supplier of the Year. NextGen Gaming casinos use a browser-based instant play platform powered by Adobe Flash. This makes it convenient for players who do not want to install a large casino client onto their computer. Unlike some other instant play platforms, the quality of NextGen Gaming software is stunning. In total, the company has developed between 60-70 different games, with numerous themes and formats. The games that seem to draw the most attention include Foxin’ Wins, Medusa II, Doctor Love, Mad Mad Monkey, 300 Shields, Merlin's Magic, The Snake Charmer and Foxin’ Wins Again. You can try them out in demo mode and also on the go. The slots at NextGen Gaming casinos focus on giving players a more personal experience. For instance, the Slide a Wild feature allows for the manual placement of wild symbols, the DynaReel feature creates a second layer to the game, and Select a Play provides players with more bonus choices. With seriously sophisticated graphics to boot, NextGen Gaming slots are popular for good reason. In all NextGen casinos, players can also enjoy table games, video poker , and other slots from a number of other platforms. Because NextGen Gaming casinos are so adaptable, each of them uses its own cashier and promotional structure. However, many casinos offer similar types of bonuses. The most common is a match deposit bonus on your first deposit. Some will spread this welcome bonus across multiple deposits. Furthermore, many of the NextGen casinos will also offer you wagering contests, special events, and even no deposit bonuses. Each casino that you will find our list is also powered also by other software providers, as well as NextGen. This means that players have a massive amount of variety at their fingertips when playing at any of these casinos. If you'd like to try one out, look at our list of NextGen Gaming casinos. Among others you can find the likes of Mr. Green and Leo Vegas Casino. 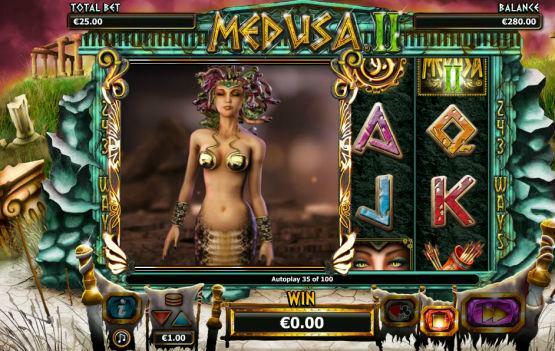 NextGen games are available at a wide variety of online casinos, and often under the branding of another developer. NextGen Gaming software for casinos is an excellent choice for players looking for real money casinos and top-notch games. Alderney 32 Isle of Man 4 Malta 230 Gibraltar 115 Jersey 0 Kahnawake 0 Panama 0 Curaçao 129 Unknown 0 Belize 0 Costa Rica 0 United Kingdom 326 Austria 0 Canada 0 Antigua and Barbuda 0 Belgium 3 Bosnia and Herzegovina 0 British Virgin Islands 0 Bulgaria 1 Cambodia 0 Comoros 0 Cyprus 0 Czech Republic 0 Denmark 14 Estonia 2 Georgia 1 Ghana 0 Greece 1 Hungary 0 Ireland 0 Italy 4 Kenya 0 Latvia 0 Lithuania 0 Mexico 0 Netherlands Antiles 3 Nigeria 0 Paraguay 0 Peru 1 Philippines 1 Portugal 3 Romania 3 Serbia 0 Slovakia 0 Spain 4 Sweden 87 Aland Islands 0 Schleswig Holstein 4 British Columbia 1 Cagayan Economic Zone 1 Delaware 2 Nevada 2 New Jersey 8 Ontario 0 How we rate Licensing Jurisdictions?